Bacolod, located in Negros Island in Central Visayas, is one of the major cities in the Philippines. It has a lot of government offices and tourist attractions that people from other islands come to visit the place. But where can travelers stay for a night to take a rest or wait for the next day for an important schedule or appointment? 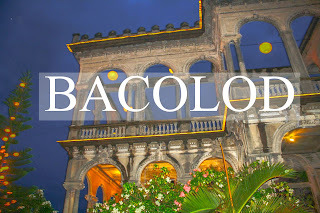 But first, how to travel to Bacolod? Check these comprehensive ways on my posts that I made. The place is easy to find because you can just say to driver to stop at ABS-CBN station. It is located along LACSON Street. So, it is easy to ride a public transportation. The walls of the rooms are not fully sound-proof because i think the material of the divider is like the container van. So you can hear the footsteps on the upper floor or the noise beside your room. Great for the price with its facilities and convenience to restaurants and malls. To know my experience with DFA- Bacolod, check this link. My husband and I personally used Agoda to book the hotel as it was cheaper than other sites. It is known by some taxi drivers so if you came from Silay Airport or seaport behind SM Bacolod, they are familiar with it. It is 2 kilometers away from Robinsons Place Bacolod for DFA passport appointment. Wifi connection was not that good when we stayed in this hotel. I do hope they have already fixed this problem. Near Robinsons Place Mall where DFA is located. It is an ancestral house that turned into a magnificent hotel. For cheaper price, you can opt to their double/twin room with shared bathroom. This hotel is common for convention or events purposes. So prices are a bit high. But this is very popular to all locals whenever you are looking for a hotel. And they have budget rooms already. The place is very convenient especially during Masskara festival. They also have good amenities and facilities like pools and spa rooms. Whenever I go to Bacolod, I have to buy pasalubong from this store because I love the selections of local pastries that my family and I really enjoy eating. I usually go to Bongbong's Piaya and Barquillos store located near San Sebastian Cathedral and Bacolod Plaza and going to SM Bacolod along the corner of San Juan St. and Rizal St.
Calea's cakes and pastries are the sweet treats of Bacolod that you should really try and might bring to your loved ones on your way back home. 1. just in front of L'Fisher Hotel along Lacson Street. There are a lot of hotels that you can still choose from when you search on the websites and apps that I have mentioned. These are some that are near and accessible to Department of Foreign Affairs in Robinsons Place Bacolod. Thank you for reading! Please share if this helped you. 3. Process your renewal of passport in DFA - Bacolod in Robinsons Mall.